This post will discuss what VXXB is ( full name: Barclays Bank PLC iPath S&P 500 VIX Short-Term Futures ETN), how it trades, how its value is established, what it tracks, and how Barclays makes money running it. VXXB has only been trading since January 2018, it was created as a follow-on product to the popular VXX long volatility fund that started trading in 2009. 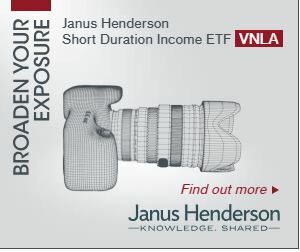 VXX and its sister fund VXZ were the first Exchange Traded Notes (ETNs) available for volatility trading in the USA. They were successful products but they had built-in maturity dates in January 2019 and were shut down at that point. To continue these successful products their issuer, Barclays Bank PLC, created two new funds, VXXB and VXZB, that are essentially identical to their predecessors. For more on the transition to these series B funds see this post. For the most part, VXXB trades like a stock. It can be bought, sold, or sold short anytime the market is open, including pre-market and after-market time periods. With an average daily volume of 75 million shares, its liquidity is excellent and the bid/ask spreads are a penny. It has a very active set of options available, with five weeks’ worth of Weeklys and close to the money strikes every 0.5 points. For option expiration dates beyond January 18, 2019, there are only VXXB options available because VXX will have been shut down by that point. Like a stock, VXXB’s shares can be split or reverse split— 4:1 reverse-splits are the norm and can occur once VXXB closes below $25. For more on historic VXX reverse splits see this post. VXXB can be traded in most IRAs / Roth IRAs, although your broker will likely require you to electronically sign a waiver that documents the various risks with this security. Shorting of any security is not allowed in an IRA. How is VXXB’s value established? Unlike stocks, owning VXXB does not give you a share of a corporation. There are no sales, no quarterly reports, no profit/loss, no PE ratio, and no prospect of ever getting dividends. Forget about doing fundamental style analysis on VXXB. 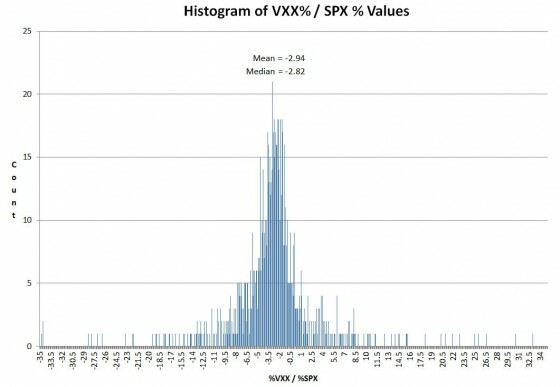 The value of VXXB is set by the market, but it’s closely tied to the current value of an index (S&P VIX Short-Term Futurestm) that manages a hypothetical portfolio of the two nearest to expiration VIX futures contracts. Every day the index specifies a new mix of VIX futures in that portfolio. For more information on how the index itself works see this post or the VXXB prospectus. The index is maintained by the S&P Dow Jones Indices and the theoretical value of VXX if it were perfectly tracking the index is published every 15 seconds as the “intraday indicative” (IV) value. Yahoo Finance publishes this quote using the ^VXX-IV ticker. Wholesalers called “Authorized Participants” (APs) will at times intervene in the market if the trading value of VXX diverges too much from the IV value. If VXX is trading enough below the index they start buying large blocks of VXX—which tends to drive the price up, and if it’s trading above they will short VXX. The APs have an agreement with Barclays that allows them to do these restorative maneuvers at a profit, so they are highly motivated to keep VXX’s tracking in good shape. Ideally, VXXB would track the CBOE’s VIX® index—the market’s de facto volatility indicator. However, since there are no investments available that directly track the VIX Barclays chose to track the next best choice: VIX futures. Unfortunately using VIX futures introduces a host of problems. The worst is horrific value decay over time. Most days both sets of VIX futures that VXXB tracks drift lower relative to the VIX—dragging down VXXB’s value at the average rate of 4% per month (30% per year). This drag is called roll or contango loss. Another problem is that the combination of VIX futures that VXXB tracks does not follow the VIX index particularly well. 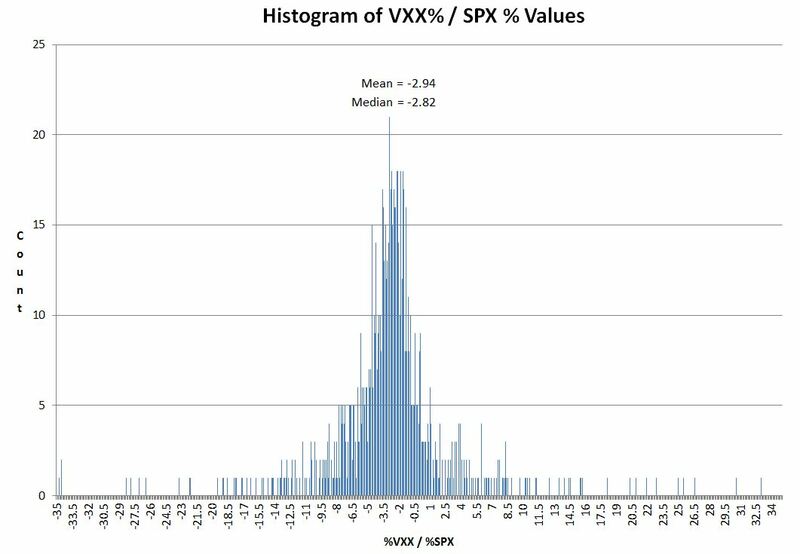 On average VXXB moves only 45% as much as the VIX index. With lethargic tracking to the VIX, erratic tracking with the S&P 500 and heavy price erosion over time, owning VXXB is usually a poor investment. Unless your timing is especially good you will lose money. 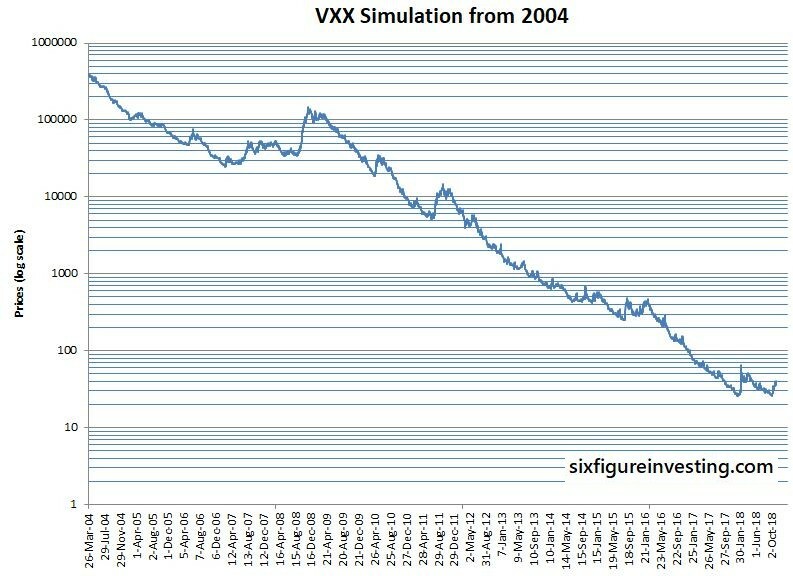 For a backtest of VXXB starting in 2004, see this post. 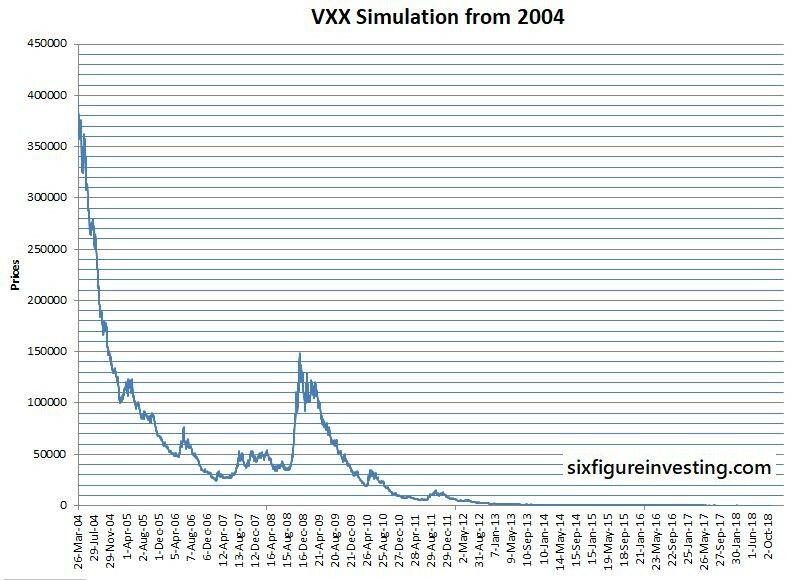 VXXB is a dangerous chimeric creature; it’s structured like a bond, trades like a stock, follows VIX futures and decays like an option. Handle with care.